Solar is the fastest growing energy technology in the world today. Solar power installations have grown over 2,752 percent in the last ten years and the industry generated more than $70 billion in revenues. It is predicted that global solar installations will more than double in the coming years. With this in mind, solar power stocks can be a very interesting addition to a portfolio. 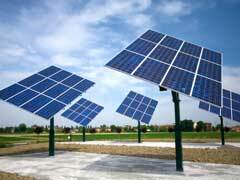 Solar energy is an alternative energy source that is sustainable, renewable and clean. An investment in solar power stocks and EFTs has high return potential and more so as this type of energy becomes more widespread. Alternative energy investing is expanding and new companies are going public in great numbers. Initial public offerings allow investors to purchase company stock from the first day it is issued which will help bring in higher returns on investments. At this time the stock purchase price of solar power stocks is somewhat low which enables stock to be purchased for less and held for higher future profits. When considering a particular company’s solar energy stocks, research the solar energy company’s management team, debt to ratio, price of company products and the cash flow. Find out the salaries and remunerations of the chief executives and what market share the company has. Determine if there is growth potential within the company. If the company has diversified interests, you may be wise in investing. Solar power stocks are also considered as high yield energy stocks. These stocks are relatively new and there is no history or financial information available for comparison and tracking. Diversity your stock portfolio however, to preclude the possibility of a new energy company failing and their stock being dismissed. More companies fail than succeed in the volatile alternative energy market. If you are speculating on high yields and or buying stocks with high dividend yields, you can potentially earn high profits but avoid stocks were the potential earnings can dry up. Although clean energy stocks are currently trending higher, the relatively newness is a downside. In an inflationary economy investors will tend to stay with those stocks that are proven and shy away from fad stocks. Choose solar power stocks as well as renewable energy stocks as you would any stock. Research, study and determine whether the energy stock fits well with your portfolio and investment plans. Determine if your stock holding is with a company that is diversified in alternative energy sources. A company whose prospectus is only concerned with one alternative energy source should give you a reason to rethink purchasing their stock. An example is NextEra Energy Resources, LLC, California who currently is carrying strong utility stocks. A good portion of this company is focused on renewable energy and is currently supported by the political environment. Solar power stocks, clean air stocks, and wind power stocks are good investments through this company. NextEra has invested $1.2 billion in in wind and solar power in California. It operates 850 MW of wind generators with enough power for over 200,000homes. Strong research and development into wind turbines is helping the wind and solar industry to grow and become more efficient. NextEra originally traded at under $5 per share, but trading experts feel that this price will rapidly go higher. Purchasing stocks and investing into companies with wind and solar power stocks can aid your portfolio, air quality, and environmental viability.